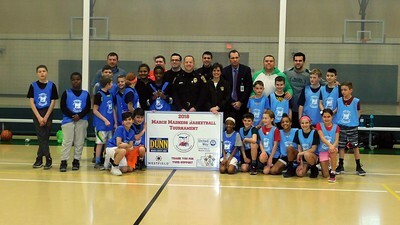 NATHAN HAVENNER / GAZETTE Montville Township Police Chief Terry Grice, center, and Medina County Police Activities League program director Rebecca Byrne, to the right of Grice, pose with teams from Medina Schools’ Heritage Elementary and Garfield Elementary before Thursday’s start of the March Madness Basketball Tournament at Medina Community Recreation Center. 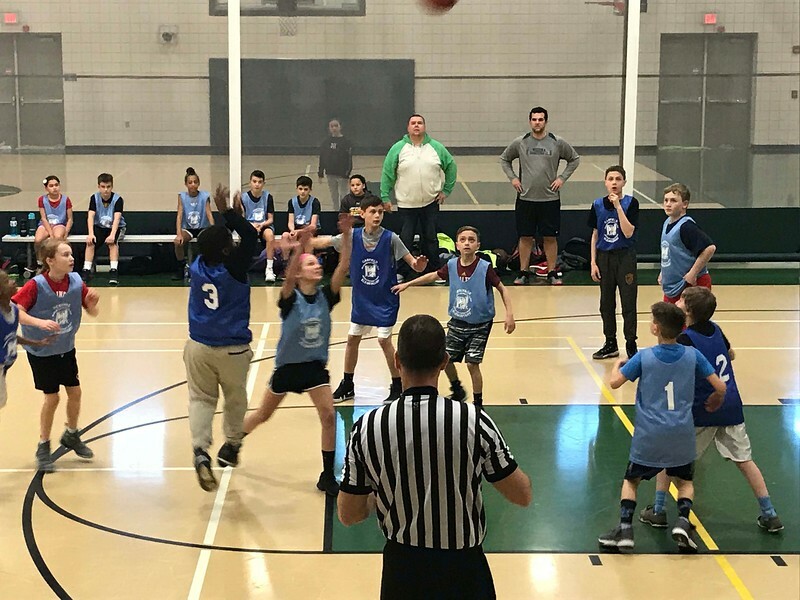 NATHAN HAVENNER / GAZETTE Fifth-graders from Medina Schools’ Heritage Elementary and Garfield Elementary compete Thursday in the Medina County Police Activities League March Madness Basketball Tournament at Medina Community Recreation Center. 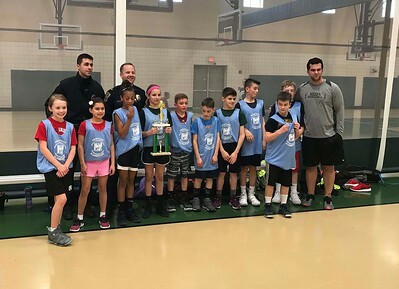 NATHAN HAVENNER / GAZETTE Fifth-graders from Medina Schools’ Heritage Elementary are the winners of the 2018 Medina County Police Activities League March Madness Basketball Tournament against the school district’s Garfield Elementary on Thursday. 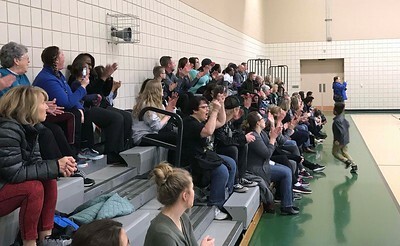 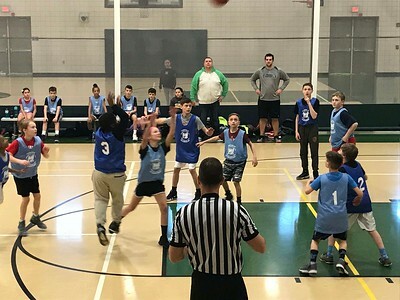 Fifth-graders from Medina Schools’ Heritage Elementary and Garfield Elementary compete Thursday in the Medina County Police Activities League March Madness Basketball Tournament at Medina Community Recreation Center.